Lean Six Sigma is a set of techniques and tools designed to produce features that are 99% defect free. Six Sigma is now considered one of the most desirable certifications to possess, with black belt certification being the creme de la creme of all the different programs offered by various training companies. As the head of the human resources department, you can use black belt training to improve your department’s problem solving skill set. Here is how you can use black belt training to streamline human resources. HR black belt training allows you to prevent problems before they get bigger. The role of HR has typically been reactive, to deal with complaints as they arise. You can teach your department to be proactive with black belt methods. By using data trends collected from your employees, you can predict what issues may arise. This can help your department pinpoint problematic behaviors and attitudes. The training methods can also be applied to inter department communication. Because you must mediate between departments, you can use your data to figure out what complaints people may have as time goes by. Send memos and notifications ahead of time to promote effective communication. These techniques may prove to be more effective than traditional HR methods of conflict resolution. Black belt training can help you shape your department’s culture. You can use the training to develop a data driven, decisive culture. Oftentimes a company’s failings lie in the work culture. A bad work culture foster negativity, inefficiency and resentment. By training your department with black belt methods, you teach them to approach issues with a problem solving mindset. In turn, your department will spread this work ideology to other workers. Your HR black belts will also be able to target and weed out problematic issues in the work culture. When everyone works in harmony, you will have to less issues to deal with. HR black belt training also improves analytical thinking in your department. Part of the HR department’s job is to improve logistical issues. 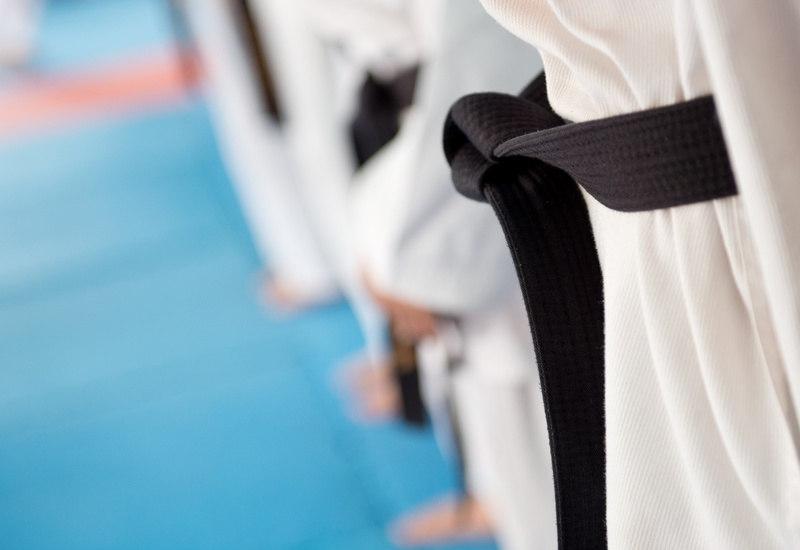 Undergoing black belt training can help streamline processes such as training, and workflow. Oftentimes HR operations can be unwieldy. If you’re noticing issues like lengthy training times or high turn over, you should implement black belt training. It can be difficult to identify the problem when you’re entrenched in it. Black belt analytical thinking teaches practitioners to take an objective view of the situation. This allows the HR department to conduct operations smoothly. Continuous improvement is a huge part of the HR black belt training process. It is critical to streamlining HR with or without automation tech. It can be easy to fall into the trap of being reactive rather than proactive. Stagnation leads to the slow death of the company. By offering black belt training to your department, you will instill a spirit of continuous improvement. Your workers will apply the methodology to look for subtle improvements to formerly unseen problems. The paradigm will shift from “this works” to “how can I make this work better?” This paradigm shift will create better results and more profit. Use black belt training to improve quality control. You are responsible for the quality of workers coming into the company. Streamlining HR practices starts with improving your hiring process. Companies usually suffer from hiring the wrong person or losing the right person to another company. By using black belt methodology, you can simplify your hiring process to ensure that you hire people quickly. This prevents another company from sniping your potential employee. You can also improve your interview process to weed out bad apples early on. Search for people who fit the company culture. Black belt training helps your department streamline operations by finding quality people quickly. Working in HR can be frustrating. You are not just dealing with problems. You have to be able to get others to understand those problems. Make your job easier with black belt training. This way, you can get started boosting quality control, analytical thinking, culture, continuous improvement and prevention within your organization to enjoy the workplace benefits offered by Six Sigma black belt HR training. With this program, your HR department will become more efficient, and you will have far less to worry about and manage in your day-to-day work week.